Death is a hard and inevitable fact that occurs in all species of the animal kingdom, from the human being to the dog. Witnessing the end of the existence of our pets, represents a terrible adversity that makes us feel desolate and depressed, as they become special members of the family. 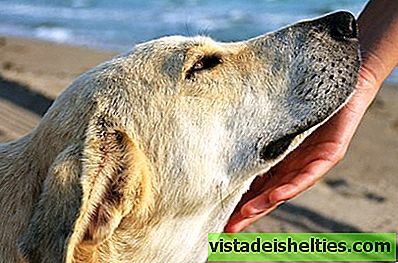 The possibility of increasing the years of life of canines has been considered as utopia for many years, because of how much they complement our existence with their tenderness, their antics and their incomparable fidelity. This desire has been translated into different scientific investigations, that although they have tried to reach this longed for end, they have not done more than to fail in each one of their attempts throughout history. But nevertheless, currently have been exhibited different experiments that for the first time have turned the illusion of extending the lives of dogs into something tangible, thanks to the impressive results that until now have been achieved. It is a fact that has surprised everyone, which will attract all the foci of science and veterinary medicine due to the undeniable impact it will generate in the animal world. 3 How many more years could our dog live? In different animal species, the cells age with the passage of time because of the way in which each of their components degenerate. However, according to the Massachusetts Institute of Technology, several Seattle scientists have discovered that rapamycin can significantly slow down this process. This is because the immunosuppressant drug, also known as sirolimus, can activate the different biochemical changes that occur with caloric restriction, if used in small doses. This causes the body to produce extra effort to maintain survival for much longer than normal. This was the first major discovery, since until then, this drug was used mainly to fight cancer and to avoid rejection by organ transplantation. His first tests were made to worms, fruit flies and mice, who saw their life expectancy after the use of rapamycin. After checking the results, it was decided to perform the same experiment on dogs, in order to determine if this medicine can offer the same results in species of greater physical and organic size. The research carried out at the University of Washington, under the name of Dog Ageing, has been carried out with 32 dogs of different races and ages.. When it is over, after 6 months, they will be checked to determine if there has been any improvement in their life expectancy. To do this, they will analyze factors such as immune functions, their activities, body weight, cognitive measures and the way in which sirolimus affects cardiac functions. How many more years could our dog live? As is already known, in the animal kingdom the larger species tend to live longer than the smaller ones, due to the way they use their energies, since in the animals of greater physiological span, the cells are much more efficient, reason why they have many more possibilities of having a long life. But nevertheless, In the dog it happens the opposite, because it is the smaller breeds that tend to last the longest with us. They have an average life expectancy of 12 to 14 years, while large ones have an average of 8 to 10 years. In the case that the medicine offers the expected results in the canines, Scientists have determined that a large dog can live 2 or 3 years longer than normal, while a smaller one could easily have 4 more years of life. 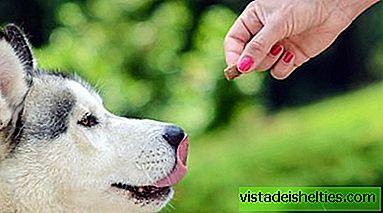 What was always an illusion can be a splendid reality in a short time, since the tests that are being carried out with the canines are successful, Not only can they extend their life expectancy, but also other adorable animals like cats. This impressive project represents an unbeatable news not only for pets, but also for owners, because although the final goodbye is inevitable, offers us the hope of being able to share much more time with them.